Hello ! Welcome to Transportation! Servicing your transportation needs for Johns Creek ES, Settles Bridge ES, Sharon ES and Riverwatch MS. Thank you for your patience with our car drop off and pick-up line. Students may be dropped off via our car line starting at 7:10am and are expected to be in their classrooms by the 7:40am bell. Please note that for safety reasons, students may not be dropped off in the parking lot and walk unattended into school. Arrivals on or after 7:40am will require that an adult come into the building to sign-in your child. To ensure the safety of our students during dismissal, we ask that you not check students out after 2:00 pm. You will need to wait in the car line to pick them up during regular dismissal time. Bus Transportation – Our transportation policy states that buses no longer allow “guest riders” on buses. Additionally, parents must designate one pick up and drop off destination for their children. The purpose of this is to ensure the safety of all students in a rapidly growing school district. You may access additional information regarding this policy below. The Forsyth County Schools Transportation Department provides basic transportation service for students to their assigned stops in the morning and afternoon. Elementary school administrators and transportation staff have determined that for safety reasons, changes in bus transportation WILL NOT be permitted in Forsyth County Elementary Schools except in cases of a true emergency or in the case of joint custody where both parents live in the Sharon school district (see an administrator for paperwork required for approval). If such an emergency occurs, a bus pass will be presented to the driver, but only after it is approved by the school administration. Students who board a bus other than their assigned bus or request to get off the bus at other than their assigned stop will be returned to the school where the parent may pick them up. 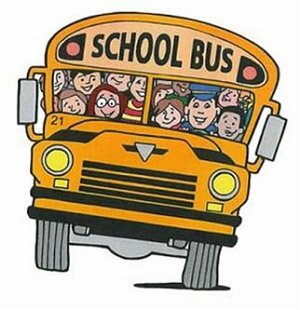 Transportation is furnished to all Forsyth County students who attend their home school and those students that require transportation service to support their “Individualized Education Plan.” Bus stops are set by the Director of Transportation in conjunction with recommendations by the Field Coordinator for the local school. Forsyth County Schools encourage supervision appropriate to the age and/or maturity level(s) of students at bus stops by parents or guardians. Students are expected to develop and practice riding behaviors that are safe, orderly, and respectful. Bus Drivers will use the Three Step Student Behavior Management Plan to help students achieve that goal. The school administration is responsible for assigning appropriate, effective consequences for inappropriate behavior. Consequences for inappropriate behavior on the bus may range from 1 day off the bus to permanent expulsion from the bus. All students are encouraged to ride the bus. Traffic is a continuously growing concern. If it is possible for you to utilize our transportation department by putting your child on the bus instead of driving him/her to school, please do so. Bus routes are designed so that students spend as little time as possible on the bus, but someone has to be first! Bus numbers, driver names, and pick up times will be provided to each family at Open House and will also be available on the Forsyth County School’s web site. Students receive annual instruction on safe riding procedures for the bus. Drivers are trained to operate the buses safely and with discipline to ensure student safety. If a student violates behavior expectations on the bus, the driver may contact the school administrator for assistance through a written bus referral. Consequences related to the bus are usually applied..